Excellent benefits + on-call allowance. We are looking for a dynamic and experienced Services Manager to join our dedicated and growing team. Cosgrove Care is an established Scottish Charity with a strong vision and commitment to deliver the very best services to children, young people and adults with additional needs in West Central Scotland. We are friendly, ambitious and innovative in our approach. Our Supported Living services are established and we are committed to further growth and development. We are looking for an energetic manager who can take responsibility for developing our Supported Living services and leading on all aspects of quality, impact and design. You will have excellent communication skills and the ability to inspire, motivate and engage your team, families and public and local partners. Reporting to the Director of Services, key areas of focus will include developing new and innovative service models, driving improved standards of practice which exceed regulatory and compliance requirements and working in partnership with others. You will join a friendly and committed team as registered manager for our supported living services. 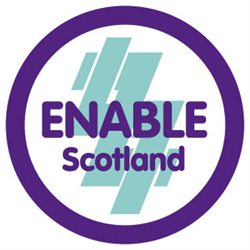 Registered with SSSC with demonstrable experience, you will have a sound understanding of the policy and practice landscape in Scotland is it relates to supporting people in their own homes. Ideally you will have a social work qualification, community education qualification or SVQ in Social Care and a relevant management qualification. For an application pack, please contact our HR Department at care@cosgrovecare.org.uk or phone us on 0141 620 2500 selecting option 6. For an informal discussion, please contact Lesley Gold, Director of Services on 0141 620 2500 selecting option 6. Closing date for application is Friday 15th April 2019. 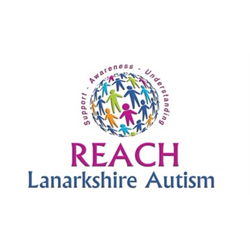 REACH Lanarkshire Autism was established in March 2012 to bridge the gap in post diagnostic services throughout Lanarkshire. REACH is a parent led, pan Lanarkshire charity and currently has around 220 members. 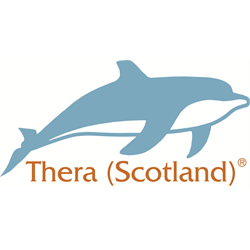 We are looking to employ a Project Manager who will be responsible for assisting the Board of Trustees to support the delivery of the organisations’ services as a Lanarkshire wide charity. This will be achieved through retaining current services and helping to develop new projects. The post holder will manage the day to day running of the charity and will liaise with the Board of Trustees as and when required to ensure the charity is continuing to develop and expand. This is a part time post (20 hours per week) which has been funded for three years by The National Lottery Community Fund. However, it is hoped that additional funding will be obtained to increase the weekly hours. We are looking for someone who has experience of working in the field of social care and/or the voluntary sector. You will display good networking skills and have a proven record of working towards and achieving improved outcomes. Experience of managing, supporting and motivating staff is essential as well as having experience of service promotion through talks and information sessions.